Various Artists : Classic Chillout Album CD (2009)Title: Classic Chillout Album Artist: Various Artists Genre: Dance|Compilation Format: CD / Album Type: CD No. Disc 2 36 Don't Give Up. Disc 2 35 What Else Is There?. Artist Aphex Twin Title Classics Release Date 1995-02-03 Label: EMI Records Number of Discs 1. 1 11 We Have Arrived (Aphex Twin Qqt Mix). 1 12 We Have Arrived (Aphex Twin Ttq Mix). 1 13 Digeridoo (Live In Cornwall 1990). Kings of Leon : WALLS CD (2016)Title: WALLS Artist: Kings of Leon Genre: Rock/Pop|Indie/Alternative Format: CD / Album Type: CD No. of Discs: 1 disc(s) Studio / Label: Columbia UK Release Date: 14 Oct 2016. Artist The Beatles Title 1 Label: EMI Records Number of Discs 1. 1 23 The Ballad Of John And Yoko. 1 7 I Feel Fine. 1 26 Let It Be. 1 22 Get Back. 1 21 Hey Jude. 1 20 Lady Madonna. 1 19 Hello, Goodbye. Fleetwood Mac - Fleetwood Mac: Greatest Hits. Title:Fleetwood Mac - Fleetwood Mac: Greatest Hits. Artist:Fleetwood Mac. Your item will be previously owned but still in great condition. The disc will play perfectly without interruption and the case, inlay notes and sleeve may show limited signs of wear. Elton John : Greatest Hits 1970-2002 CD (2002)Title: Greatest Hits 1970-2002 Artist: Elton John Genre: Rock/Pop|Singer/Songwriter Format: CD / Album Type: CD No. of Discs: 2 disc(s) Studio / Label: Virgin EMI Records UK Release Date: 11 Nov 2002. 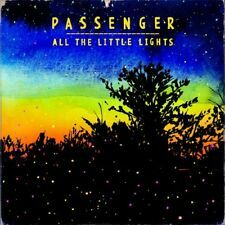 Passenger - All The Little Lights. Title:Passenger - All The Little Lights. Your item will be previously owned but still in great condition. The disc will play perfectly without interruption and the case, inlay notes and sleeve may show limited signs of wear. Of Discs: 1 disc(s) Studio / Label: Atlantic UK Release Date: 19 Oct 2009. Disc 1 7 I Belong to You (New Moon Remix). Disc 1 12 Shooting the Moon. Disc 1 11 The Violet Hour. Disc 1 14 No Sound But the Wind. ROCK 'N' ROLL FANTASY: VERY BEST OF. Rock 'N' Roll Fantasy. Shooting Star. Honey Child. Good Lovin' Gone Bad. Can't Get Enough. Simple Man. Rhythm Machine. The Maiden's Prayer, Op. 4. Variation 9. Variation 8. Variation 7. Variation 6. Variation 5. Variation 4. Variation 3. Galvanize (Feat. Body Language (Feat. Killer (Feat. Sing It Back (Feat. Running/Finally (Feat. Unfinished Sympathy (Feat. Rej/Man With the Red Face/Yeke Yeke (Feat. La Ritournelle (Feat. ). Artist Mike Oldfield Title Tubular bells Label: EMI Records Number of Discs 1. ROY ORBISON. WITH THE ROYAL PHILHARMONIC ORCHESTRA. Oh, Pretty Woman. A LOVE SO BEAUTIFUL. Pretty Paper. A Love So Beautiful. Love Hurts. Only The Lonely (Know The Way I Feel). Red Hot Chili Peppers - Greatest Hits: Red Hot Chilli Peppers. Title:Red Hot Chili Peppers - Greatest Hits: Red Hot Chilli Peppers. Artist:Red Hot Chili Peppers. We all like the idea of saving a bit of cash, so when we found out how many good quality used products are out there - we just had to let you know! The Style Council : The Collection CD (2001)Title: The Collection Artist: The Style Council Genre: Rock/Pop|Pop Duration: 64.50 mins Format: CD / Album Type: CD No. of Discs: 1 disc(s) Studio / Label: Spectrum UK Release Date: 08 Oct 2001. Of Discs: 1 disc(s) Studio / Label: Decca Records UK Release Date: 06 May 2016. Disc 1 10 Don't Be a Fool 4.31 mins. Disc 1 12 French African Queen 3.44 mins. Disc 1 9 Insanity 5.37 mins. Disc 1 8 In Heaven 4.18 mins. Enya : Shepherd Moons CD (1991)Title: Shepherd Moons Artist: Enya Genre: Rock/Pop|Pop Duration: 43.50 mins Format: CD / Album Type: CD No. of Discs: 1 disc(s) Studio / Label: Warner Music UK Release Date: 04 Nov 1991. Of Discs: 1 disc(s) Studio / Label: Rhino UK UK Release Date: 30 Sep 2009. Disc 1 2 Solitary Man 2.25 mins. Disc 1 14 Wayfaring Stranger 3.19 mins. Disc 1 4 One 3.53 mins. Disc 1 13 I'm Leavin' Now 3.07 mins. Rock ’N’ Roll Fantasy. Shooting Star. Honey Child. Good Lovin’ Gone Bad. Format: CD. Can’t Get Enough (Single Edit). Simple Man. Rhythm Machine. THIS IS NEW SEALED CD BY JANET BAKER PERFORMING SCHUMANN SCHUBERT AND BRAHMS. Disc 1 4 I Want It All/We Will Rock You 5.08 mins. Disc 1 9 Love Is the Drug 4.13 mins. Disc 1 8 Asleep 4.20 mins. Disc 1 7 Where Is My Mind (Feat. Emily Browning) 6.11 mins. Disc 1 6 Tomorrow Never Knows 7.35 mins. LENNY KRAVITZ. RAISE VIBRATION. Raise Vibration. We Can Get It All Together. The Majesty of Love. It's Enough. Various Artists : The No. 1 Classical Album 2004 CD (2003)Title: The No. 1 Classical Album 2004 Artist: Various Artists Genre: Classical|Compilation Duration: 158 mins Format: CD / Album Type: CD No. Various Artists : Ministry of Sound Anthems: Electronic 80s CD (2009)Title: Ministry of Sound Anthems: Electronic 80s Artist: Various Artists Genre: Dance|Compilation Duration: 239.53 mins Format: CD / Album Type: CD No. Artist Various Title Classic Experience Release Date 1988-10-03 Label: EMI Records Number of Discs 2. The Rolling Stones On Air CD Album New & Sealed. Bbc, Freepost In Uk. 18 Tracks. The Rolling Stones On Air CD Album New & Sealed. Bbc, Freepost In Uk. 18 Tracks. Please see pictures for details. 5 out of 5 stars - The Rolling Stones On Air CD Album New & Sealed. Bbc, Freepost In Uk. 18 Tracks. 6 product ratings6 product ratings - The Rolling Stones On Air CD Album New & Sealed. Bbc, Freepost In Uk. 18 Tracks. Eva Cassidy - The Best Of Eva Cassidy. Title:Eva Cassidy - The Best Of Eva Cassidy. Artist:Eva Cassidy. Your item will be previously owned but still in great condition. The disc will play perfectly without interruption and the case, inlay notes and sleeve may show limited signs of wear. Artist Various Title The Look of Love - The Classic Songs of Burt Bacharach Release Date 1996-01-26 Label: EMI Records Number of Discs 1. Artist Various Title New Romantic Classics Release Date 1992-10-19 Label: EMI Records Number of Discs 1. Communards : Platinum Collection CD (2006)Title: Platinum Collection Artist: Communards Genre: Rock/Pop|Pop Duration: 61.20 mins Format: CD / Album Type: CD No. of Discs: 1 disc(s) Studio / Label: Warner Platinum UK Release Date: 20 Mar 2006. Enya : The Celts CD (1992)Title: The Celts Artist: Enya Genre: Rock/Pop|Pop Duration: 41.20 mins Format: CD / Album Type: CD No. of Discs: 1 disc(s) Studio / Label: WEA UK Release Date: 16 Nov 1992. Disc 1 1 The Celts 2.58 mins. Softly Whispering I Love You - The Congregation. 70 HITS OF THE.70s. 70 HITS OF THE DECADE. Tiger Feet - Mud. VARIOUS ARTISTS. The Man With The Child In His Eyes - Kate Bush. Never Let Her Slip Away - Andrew Gold. California Suite - The Beach Boys with the Royal Philharmonic Orchestra (1.32). California Girls - The Beach Boys with the Royal Philharmonic Orchestra (2.45). Wouldn t It Be Nice - The Beach Boys with the Royal Philharmonic Orchestra (3.13). Various Artists - Anthems Electronic 80S 2. Title:Various Artists - Anthems Electronic 80S 2. Artist:Various Artists. Your item will be previously owned but still in great condition. The disc will play perfectly without interruption and the case, inlay notes and sleeve may show limited signs of wear. Of Discs: 2 disc(s) Studio / Label: Universal Classics UK Release Date: 01 Feb 2010. Disc 1 1 Nessun Dorma! Disc 2 20 Der Vogelfanger Bin Ich Ja 2.36 mins. Disc 2 18 O Soave Fanciulla 4.12 mins. Disc 2 16 Signore, Ascolta 2.42 mins. Various Artists : Now That's What I Call House CD (2015)Title: Now That's What I Call House Artist: Various Artists Genre: Dance|House Format: CD / Album Type: CD No. of Discs: 3 disc(s) Studio / Label: NOW UK Release Date: 21 Aug 2015. Jeff Lynne's ELO : Alone in the Universe CD (2015)Title: Alone in the Universe Artist: Jeff Lynne's ELO Genre: Rock/Pop|Rock Format: CD / Album Type: CD No. of Discs: 1 disc(s) Studio / Label: RCA UK Release Date: 13 Nov 2015. Iggy Azalea : The New Classic CD (2014)Title: The New Classic Artist: Iggy Azalea Genre: Rap/Hip Hop|Electro Format: CD / Album Type: CD No. of Discs: 1 disc(s) Studio / Label: Virgin EMI Records UK Release Date: 21 Apr 2014 Explicit Lyrics: Yes.